I'd assume that if you saw a dude flying around and burning things up with a stare, even Dawkins would declare the dude to be God. 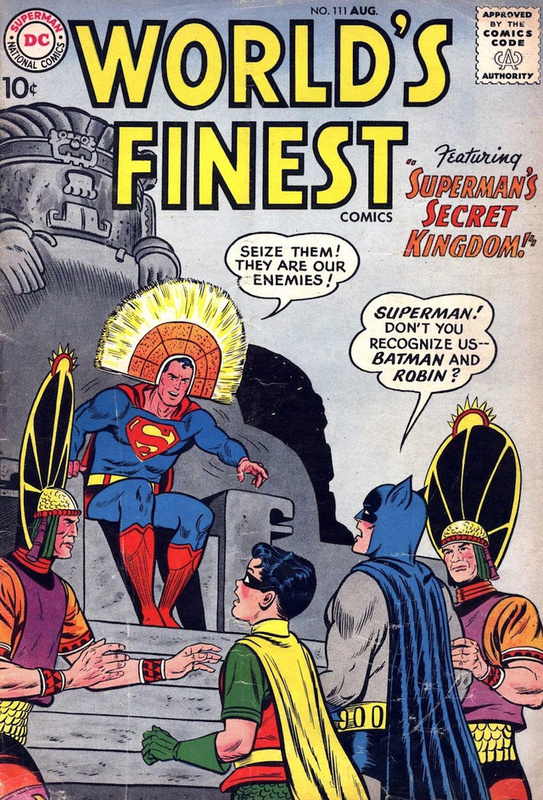 That said, it's more proof that Silver Age comics were crazier than gods dropping Coke bottles from the sky. "Night Man" looks like die Fledermaus from The Tick, recolored. But I guess since die Fledermaus is a parody of Batman, that's to be expected. Really? Superman dies, donates his organs to supervillains, supervillains reject them, and the organs were actually from a robot? No. Part. Of. That. Makes. Sense! As I've always said, it's easy to understand why Snowflame was so realistic as a villain. Silver Age writers had plenty of experience using his powers for inspiration.